If genius is 99 percent perspiration, then summer’s arrival must make Mensa candidates of us all. A new nanotechnology-enhanced fabric tag by Odegon Technologies, however, could help us ditch chemically iffy deodorants without leaving innocent bystanders gasping for oxygen. Measuring roughly 3×2 inches (7×4 cm), the underarm patch houses a three-dimensional mesh of activated carbon, which captures the molecules responsible for that not-so-fresh feeling. 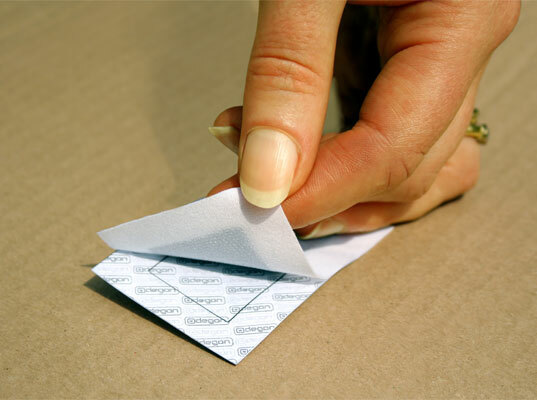 Dubbed “Odour Tags,” the stink-eliminating patches are chemical-free, inert, odorless (naturally), and non-allergenic, according to the Shropshire, England-based firm. The tag can be integrated into the underarm area of the garment by clothing manufacturers or sold as an iron-on patch for application at home. 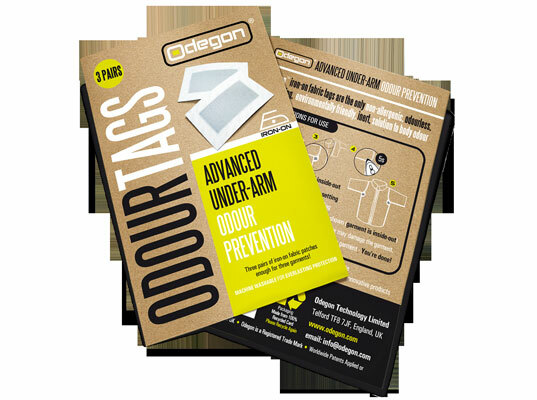 In both cases, notes Odegon, the tag will remain permanently in place for the life of the clothing, no matter how many times it’s washed or dried. The odor-eliminating tag will remain permanently in place, no matter how many times the garment is washed. A brief chemistry lesson: Made from nanoporous carbon, the surface area of the active inner material is composed of myriad peaks and troughs, which attract and trap odor molecules by Van der Waals forces until the garment is cleaned and the molecules are flushed out. Activated carbon itself has a storied history; it was patented in 1942 by the British Ministry of Defence for use in gas masks and CBRN (chemical, biological, radiological, and nuclear) protection suits. Gee, we feel dumber already. Seems like a non-toxic way to protect clothes but I wonder if I wouldn't still feel kind of gross in my underarms. Plus, wouldn't the investment be huge for your entire wardrobe? Fine. But what do you do for sleeveless tees and dresses? Or people could just use mineral salts, which are completely natural, don't need to be attached to every piece of clothing you own, work even when you aren't wearing a "patched" shirt, and are much, much cheaper. Still, I appreciate them not using chemicals in their patch (what sort of heat-activated adhesive do they use, I wonder) and making their product long-lasting. Do you think they could make some carbon undies for my husband to capture his gas? If genius is 99 percent perspiration, then summer's arrival must make Mensa candidates of us all. A new nanotechnology-enhanced fabric tag by Odegon Technologies, however, could help us ditch chemically iffy deodorants without leaving innocent bystanders gasping for oxygen. Measuring roughly 3x2 inches (7x4 cm), the underarm patch houses a three-dimensional mesh of activated carbon, which captures the molecules responsible for that not-so-fresh feeling.